Concrete Asphalt pavement or it is more commonly named as, hot mix asphalt (HMA) pavement, basically refers to the layers of a flexible pavement structure. HMA consists of a compound combination of uniformly mixed aggregate which is coated with asphalt cement. In order to obtain an adequate fluidity of asphalt cement for a prim mixing and decent workability, both the asphalt and aggregate need to be properly heated prior to mixing. Hence this unique process is named “hot mix”. The hot mixes are generally produced at an average temperature between 150 and 190 degrees Centigrade. 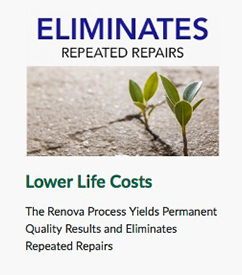 The absolute best way to make hot mix is by using an asphalt recycler such as the RENOVA by Renova Industries. Conventionally, contractors have gotten HMA from a mixing plant which is costly. Raw asphalt and aggregates are blended in a mixing facility or plant within which all the other relevant constituent materials are also heated, melted, proportioned and intermixed to produce the required paving mixture. Once plant mixing process is complete, the HMA mixture is transported to the concrete paving site and spread or coated in a loosely compacted layer over an even and uniform surface using a commercial paving machine. This can take a lot of time and can be inefficient for completing a job. While the mixture is still warm, the materials are further compacted by some motor-driven heavy rollers to produce an absolutely fine, well-consolidated, and smooth pavement layer. The HMA paving mixtures can be produced from a broad range of aggregate combinations, each one having its own specific characteristics and attributes that are suited to a particular design and specific constructional uses. According to the grade, amount, and type of asphalt used during the plant mixing process, the principal characteristics of the HMA can be determined by the relative amounts of fine aggregate, coarse aggregate, and mineral filler. Transportation like roads, airport runways, railway beds, and taxiways etc. Recreational areas such as playgrounds, running tracks, bicycle paths, and tennis courts etc. In agriculture, for example, greenhouse floors, and barn floors. Other industrial uses mainly landfill caps, ports, and work sites. For building construction i.e. floorings. The Hot Mix Asphalt provides a fast, effective, efficient and quite economic constructional and industrial applications with an unparalleled versatility. If any rehabilitation is required, that can be accomplished too quickly with a minimal budget. 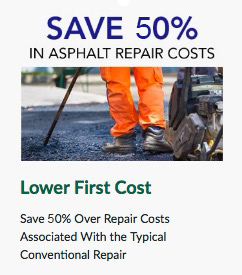 Hence, HMA provides some of the greatest advantages in the paving industry. Economical: HMA offers a cost-effective solution because it has a much lesser cost than concrete method. 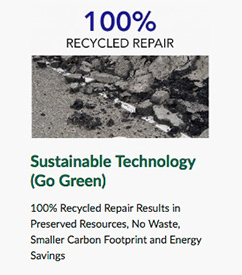 Recyclable: Another significant advantage of HMA is its proven ability to be completely recycled if needed. Durability: HMA offers a flexible pavement which can easily withstand occasional overloads without causing any serious damage. Ease of Construction: As HMA involves a complete machine process, hence it doesn’t require any significant human effort or intervention. Noise: A recent study has proved that HMA surfaces generate comparatively less traffic noise. Smoothness: HMA pavements are super uniform, allowing an energetic, smooth, and quite ride. Versatility: HMA really has a wide versatility and it is used across many factories and schools, majority streets and roads stand, office parks and playgrounds etc. Safety: HMA offers a potential skid resistance value. Staged Construction: A major and unique advantage for HMA pavements includes its potential usefulness for building staged construction.